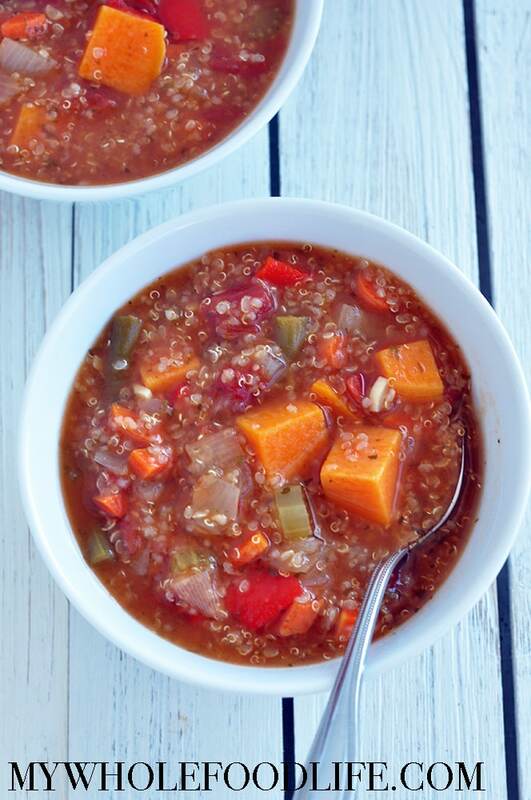 Quinoa Chunky Vegetable Soup. This past week has been downright frigid in Dallas. So we have been relying on soup recipes to get us through it. This healthy vegetable soup can be made in the slow cooker. This vegetable soup is vegan and gluten free. I bet it’s possible to make this in the pressure cooker as well. If anyone tries this, please report back in the comments! Smoky Sweet Potato Soup. Fall is my favorite time of year and sweet potatoes are one of my favorite veggies. So of course I had to make this healthy slow cooker soup recipe for you. You can make this healthy soup in the slow cooker when you are not even home! Plus, you will not heat up the kitchen. If you prefer to make this on the stove, that is an option too. Just bring to a boil and then cover, turn down and simmer until everything is soft. Then just blast it with the immersion blender. I know I have been on quite the soup kick lately. This Chunky Vegetable Black Bean Soup will probably be my last one for a while. I just can’t help it. Soups are very healthy, filling and budget friendly! Also super easy. 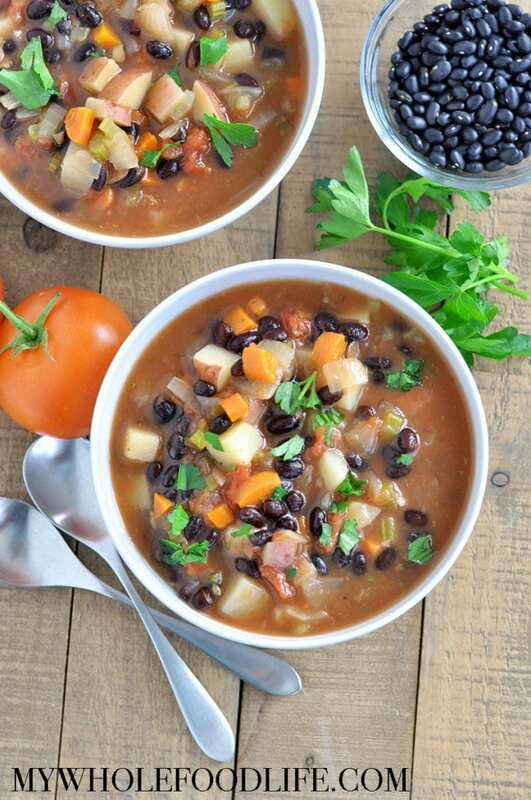 This soup is packed with vegetables and the beans add protein, making this a complete meal. It will definitely keep you full for quite a while. This also makes a lot, so feel free to freeze some too. 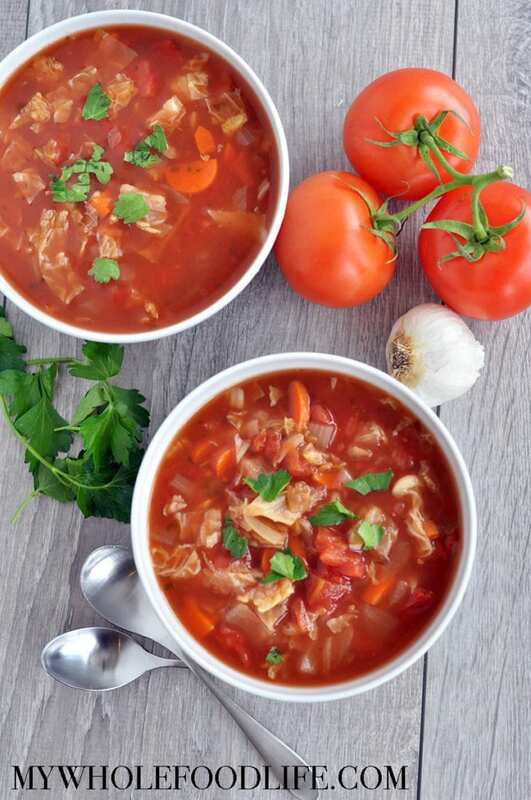 I had some cabbage I needed to use up, so I decided to make this Slow Cooker Cabbage Soup. It was very easy and came out great! The best part is it only calls for simple ingredients you probably already have on hand! 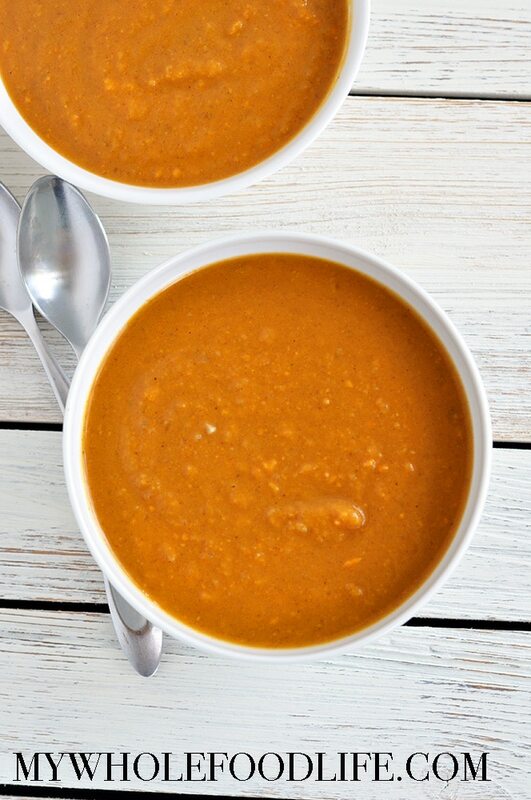 This healthy soup is made in the slow cooker so it can cook even when you leave the house! The other day when I sent Marcus to the store to get some diced tomatoes, he accidentally bought tomato sauce. This soup was the perfect use for that sauce. Plus, the house smelled so good when this was cooking! This soup recipe makes a ton, but it freezes great. I like to freeze it in serving sized containers so I can just grab and defrost what I need. If you wanted to bump up the protein in this recipe, I think adding chickpeas or white beans would be good. 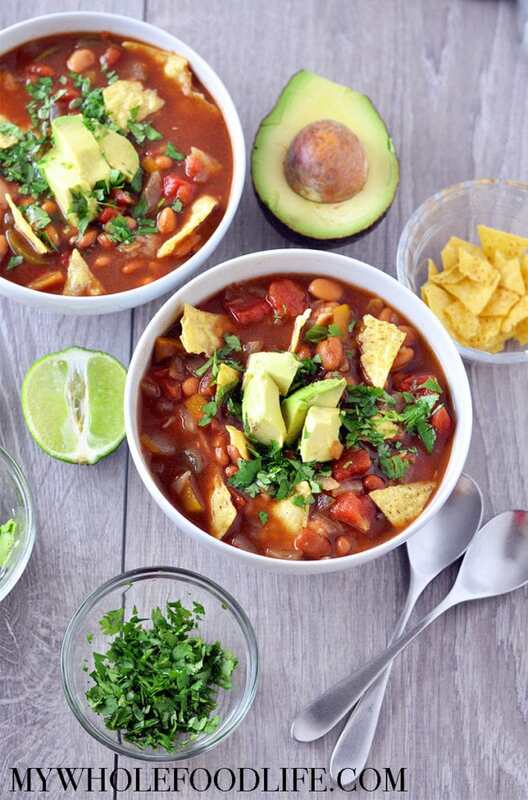 My husband LOVES spicy food and he created this Slow Cooker Tortilla Soup. I am a huge wimp when it comes to all things spicy, so this recipe is all his. He loved the way it came out too! It’s also a super cinch to make. If you love spicy recipes, you should definitely check out his homemade sriracha recipe and also his green curry with chickpeas. I know traditionally, tortilla soup is made from toasted tortilla strips, but we had some tortilla chips leftover from a party, so we decided to use those. If you like the strips better, you can use those instead. Either way is fine. This recipe literally takes a few minutes to throw everything in the pot, then you just walk away and let it cook. The house will smell so good too! Next time, we will be sure to try it with my vegan sour cream on top. Yum!! 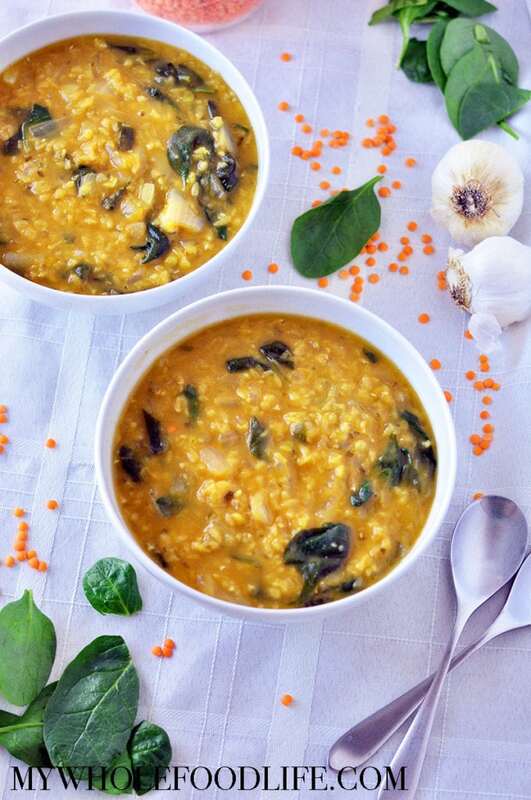 After all the holiday dessert indulging, this healthy Red Lentil and Spinach Soup is a great way to get back on track! I just love a good soup recipe, don’t you? There is a little back story on how this recipe came about. I will share below. This Christmas, my husband’s family celebrated on the 22nd, so we had no plans on Christmas Day. We decided to celebrate by going out for Middle Eastern food to celebrate my husband’s Turkish side. The soup they served was so good, so I had to remake it when I got home. I have to say that my version came out pretty darn good!